The one thing I always felt lacking from Cobra’s posts was a more intimate understanding of the Primary Anomaly So I thought I would go over it in some detail. When it comes to understanding the Primary Anomaly we must be flexible because of the fact it constantly shifts and changes according to many variables. In this article I’m going to do my best to convey my thoughts about the origin, purpose and destiny of the Primary Anomaly. Discernment is advised as the validity of this information can be very difficult to determine. Without further ado let’s dive into The Primary Anomaly. What is the Primary Anomaly? COBRA – The Primary Anomaly is continuous. It’s a random function which exists without a purpose. It is not negative by itself, but free will interacting with primary anomaly has a strong tendency towards evil and negativity because primary anomaly was never in touch with the Source. Untwine : Ok. So the quantum potential force that generated darkness, we can call it contingency yes ? The Quantum Field is probably the closest thing we have to understanding what the Primary Anomaly is. Yet the quantum field is more then the Primary Anomaly; you could say that the Quantum Indeterminacy and Heisenberg’s Uncertainty Principle is scientifically speaking the closest example in which we can understand the Primary Anomaly; but yet the Primary Anomaly is much more then just these ideas. The primary anomaly is a randomizing function that creates the necessary catalyst in our universe in order for life prosper and grow. It’s purpose is to enrich our creation by exposing us to the needed catalyst for further spiritual development. It is the very basis for this dualistic reality; one where contrast can be utilized to further one’s growth. Fundamentally on a human level a dualistic system is itself a paradox; how can opposites unite and be one? Yet when you look at the many teachings throughout human history you discover this very unity. Take the Yin-Yang symbol for example; Taoism teaches the unity between the Light and Darkness. This is required in order to understand the relative dependency of this dualistic reality. All is relative in one degree or another; because all is one. As the old saying goes “All roads lead to rome” yet in this case “All is One”. Yet that in itself is a paradox to the human understanding since we’re immersed in a reality that seemingly projects the idea of separation. We see things and since we cannot see the inter-connectedness of them we’ve naively come to believe they are separate. Thus this is why the human mind encounters problems when attempting to understanding the principle of unity. There cannot exist randomness unless determinism exists as well. Thus the Primary Anomaly is the complimentary component of creation that helps give meaning to life. The Primary Anomaly is the Shadow while the Prime Creator is the Light. It is purpose found within the purposelessness superimposed upon our free-will. What Is The Origin Of The Primary Anomaly? Primary Anomaly has no origin; it is beyond the concepts of time/space. It exists as an energetic layer in this reality. Yet the Primary Anomaly that is interacting with Earth is of a different form. Cobra differentiates this by identifying it with the names Contingency, Darkness and Evil. Cobra states that angels decided to descend into Primary Anomaly 8 millions years ago with very technologically sophisticated devices. When that occurred they were exposed to very strong electro-magnetic fields that distorted space-time continuum around them. Which drove them to insanity and had a very fast mutation on them. That’s when they started attacking and harming others. Paul Levy is another great source of information pertaining to the Primary Anomaly, he calls it by the name wetiko or malignant egophrenia. This description is very similar to Cobra’s understanding of the Primary Anomaly. Cobra has stated that the Primary Anomaly doesn’t have an beginning or an end, it has been present since creation was birthed. Thus the primary anomaly is beyond the concept of time and is a nonlocal force that exists as an energetic layer to this reality. Rob – OK. In your recent creation interview you said that the Source projects itself into the Primary Anomaly and that fusion creates creation. The question is, ‘How did creation come to be when there was no Primary Anomaly? COBRA – There was no creation before the Primary Anomaly. According to Cobra this universe was created from the interaction of Source and Primary Anomaly. Source intelligence projected itself into primary anomaly in order to explore and understand. This interaction resulted in the creation of the universe as we know it. There have been entire books written on this subject, but by far the best source of information to understanding how the Primary Anomaly works is from a book written by Paul Levy called “Dispelling Wetiko – Breaking The Curse of Evil“. This is by far one of the most informative books out their that discusses the Primary Anomaly in great detail, it describes the aspect of Primary Anomaly that Cobra has identified as Contingency, Evil and Darkness. We’re going to discuss some aspects of how Primary Anomaly influences us; but if you really want to know it in great detail buy the mentioned book above, you will gain much knowledge of it that way. Our false concept of who we are is the very basis in how the Primary Anomaly influences humanity. The Primary Anomaly has us identify with aspects of our being that are temporal and fleeting. Desires, lust and greed are instruments in which we’ve come to define ourselves as individuals. We’ve become so focused upon these ideas that they literally are the very building blocks of modern society. We desire wealth, fame and accomplishments because we believe that we can derive some sort of purpose, contentment and satisfaction from them. Yet desires are born within the false self; which is basically the belief of me, myself and I. It is the dominating delusion of self that creates the need for desires. For you can only desire something if you believe yourself to be separate from it. When we identify with the false self we develop a negative ego which further causes us to fracture. Yet when one removes the concept of self you become one with all of creation and see that all that you desire is found from within. All that you need to feel fulfilled is within you; no achievement, desire or possession can truly satisfy us. The peace we seek is found from within. When you focus upon your inner-world you realize all that you need is within you. You have a choice in how you want to live your life. Do you want to continually chase after things that never truly satisfy? You have a choice to be positive or negative, nothing can make you positive or negative unless you yourself have come to believe it will do so. It is your belief in the idea that creates its polarity. Another way Primary Anomaly influences humanity is that it psychically projects the idea of denial. We do this by not taking responsibility over our lives. The Primary Anomaly creates an environment where it’s easier to play the victim then to be empowered. We blame others for our short-comings and flaws. Anything that makes us feel bad we’re encouraged to blame others. We’re constantly looking to the external world and proclaiming this is the reason things are wrong. This is called Shadow Projection and what we fail to see is that the origin of what we perceive is wrong is from within. The primary anomaly encourages Shadow Projecting; rather then learning about our internal reality. Primary Anomaly has dominion over the external world; since the PA is itself the illusion of separation, thus it perpetuates itself through the focusing of our consciousness on the external reality. Primary Anomaly also weakens our ability to combat entity attachments. When we play the role of the victim we invite more circumstances and situations into our field of experience that reinforce this belief. 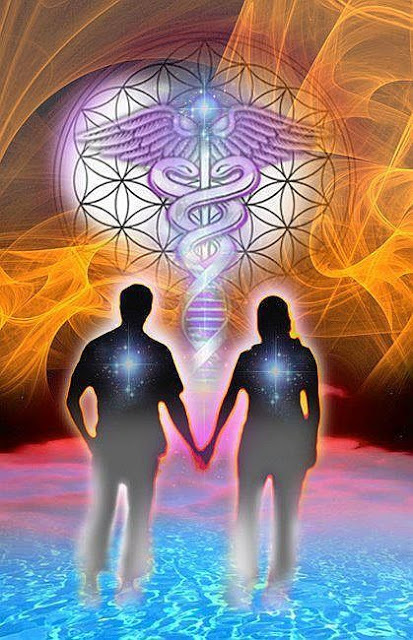 Thus we energetically vibrate at a frequency that attracts these beings to us. Like flies on rotting meat; they swarm us and take advantage of our belief that we are the victim. They attach to us in order to loosh life-force from us. We are food to them. The Primary Anomaly can only sustain itself by deceiving us of the Truth. That being that all that is external of us is first an manifestation from within our inner reality. If we were to become aware that the universe is an reflection of our internal spiritual reality; the primary anomaly would lose it’s power over us. Thus it keeps us focused on the external world with desires. What Is This Device The Angels Used To Descend Into Primary Anomaly? Let’s explore this device a little bit; Cobra doesn’t provide much information on how it works. Yet I believe Aug Tellez may provide some insight into how this device may operate. He has a very interesting video on Youtube that describes what may be this device that Cobra has talked about. He claims that this device or at least one of them is present here on Earth. It would make sense that when the Archons left Orion they would bring this/these devices with them. In this video Aug Tellez explains how this device takes the experience of consciousness and physical reality and cleaves them together. He explains the device manipulates the sub-atomic elements of this physical reality and projects them into the Etheric and Astral membranes of this existence through conscious experience. Aug Tellez’s understanding of this device does correlate with some of Cobra’s statements about Primary Anomaly. Cobra has stated that the primary anomaly is actually a distortion of matter. Which is very similar to Aug Tellez’s idea on how this device operates. Aug Tellez’s understanding of the device also correlates with Cobra’s teaching in regards to the effects of this device on beings. Aug Tellez shared that some of the people that figured out this device became insane because they couldn’t handle it. Cobra shared that the Archangels that used the device(s) became insane and started attacking others. This is a very strong correlations that may give credence to both Aug and Cobra. Aug Tellez’s said these beings became vampiric and were consumed by greed, lust and desires. They had to siphon energy from other beings because that was the only way they could survive. This description sounds very much like the Archons that Cobra teaches about. The Archons are parasitic entities that siphon the life-force from humanity. They’ve been regarded as demons by many accounts, but I believe that these demons may have been beings very much like you and I, but were unable to handle the experience of the device and thus became Demons. Cobra even states that a fast and unpredictable mutation occurred within these archangels that used this device. This could literally mean the physical form of these beings changed when they descended into Primary Anomaly. Thus many of the satanic beings may actually be entities whom discovered this device long ago and have transformed into modern day demons. Who and What Are These Demons & Archons? This is going to be a difficult one to truly discuss based upon the fact that many individuals don’t take the existence of these beings seriously. They have been depicted in our history for a great many years, but concise, accurate and detailed information on these beings is lacking. This is going to be by far the hardest type of information that humanity will have to come to understand. No one wants to believe that negative entities can become very powerful, yet that is the reality before us. Yet even with all their power they still pale in comparison to the Power Of The Light. Because in the end, all is Light. The origin of these demonic entities goes back 8 million years ago when the angels decided to dive into Primary Anomaly with the device we previously discussed. When that occurred they experienced transformation that made them extremely powerful. This was totally unexpected and when it initially occurred many beings didn’t know how to handle the situation because they’ve never had something like this occur. Now this doesn’t mean that the Archons of the present day are these angels that Cobra discussed upon, though it’s possible that some of them may actually be. We should also consider that others may have been exposed to the same device and had a similar transformation after the first angels did so. It is of my belief that in the negative hierarchy that people work their way up to join the ranks of Archons. Many of the people/entities in the negative hierarchy may be serving these beings to earn their rites of passage. Yet of course the original angels would most likely be the most powerful archons/demons in the negative hierarchy. Yet just how powerful are these beings? What kind of abilities would they possess? This is something that has always intrigued my curiosity and I believe I may have some information that will put this into perspective. First things first, I’m going to say that these beings had/have great power, but they are not all powerful. Yet to most of the beings within this galaxy they would appear to be God-Like by means in which few can accept as being possible. Yet they have limitations. I also believe their power presently is very minute and minimal which has been drastically reduced to the point where they’re still powerful by our understanding but the power they possess is nowhere close to what it once was. So what kind of power did/do these beings have? First off let’s establish a baseline of how much a negative being can evolve. What we can gather from RA’s teaching is that a negative being can evolve up to lower 6th density, but will struggle past that because of their inability to integrate aspects of creation into their being. Many of them eventually make a switch over to sixth-density positive. Yet what does all this mean? If we’re 3rd density entities, how would we perceive a lower 6th dimensional entity? I believe the only way to understand these beings is to look to material considered fictional because by all account their abilities would baffle us 3rd density beings. Let’s start off with H.P. Lovecraft. H.P. Lovecraft is a renowned horror writer whom wrote many books and articles. Yet what makes him very interesting is the fact he wrote about many things he dreamed about. He had many nightmares and much of his material was influenced by these dreams. The only reason I take his nightmares seriously is because of the fact I’ve experienced similar dreams. I’ve had many dreams people would consider to be nightmares with very powerful and menacing entities in them. They wrecked havoc in my dream-state and many times I’ve woken up frightened and afraid. Nowadays though I still have these dreams, but what I’ve learned these last 9 years seems to have reduced the polarity of these dreams. They no longer are experienced as being terribly frightening. It’s as if I’ve come to accept them for who/what they are rather then what I fear. My journey through life has allowed me to look upon these beings from a more non-polarized point of view and it’s help me to understand them in a more productive, positive and healthy manner. Another thing I found particularly interesting was his depiction of the being he called Cthulhu. This entity had tentacles and as many of you may be aware of Cobra has stated that Yaldabaoth is a former archangel that is now a parasitic octopus like entity with plasma filaments that resemble tentacles. What is also a very interesting correlation is that Cthulhu has wings as well; which by human understanding angels have as well. It’s as if this form is a representation of a fallen angel. Then there is another being called Yog-Sothoth that is particularly interesting because of it’s similarities to Edward Bulwer-Lytton’s description of the Guardian Of The Threshold. In fact one of Yog-Sothoth’s avatars is called The Dweller On The Threshold which. Speaking from experience I encountered such a being before under the avatar of Choronzon. Yet you must remember this being isn’t one that has a single name or destination; it has been called many names throughout history. It’s lower purpose is to suppress and enslave humanity; yet it’s higher purpose is to help humanity transcend the ego. “Yet the possessor of this insight knows that without experience in visible reality he would be totally powerless in that other invisible reality. Before he can live in the latter he must have the requisite faculties and instruments which can only be acquired in the visible world. Consciousness in the invisible world is not possible without spiritual sight, but this power of vision in the higher world is gradually developed through experience in the lower. No one can be born in the spiritual world with spiritual eyes without having first developed them in the physical world, any more than a child could be born with physical eyes, had they not already been formed within the mother’s womb. These Demons/Archons may have/had abilities such as Telepathy, Cosmic Manipulation, Fear Inducement, Singularity, Insanity Inducement and Reality Warping. I can personally vouch that the being that I encountered was able to induce intense fear, it was able to manipulate reality and induce a state of insanity. If you really want to learn more about their possible abilities study Eldritch Physiology. These beings may have been incredibly powerful at one point and were able to influence events on a Galactic level; possibly even on a universal level. When the Archangels descended into Primary Anomaly they attained abilities that many would consider impossible. They were able to project themselves in the past, present and future. They were able to influence the past in ways we couldn’t imagine. They’re origin goes back 8 million years in the original universal timeline, but they were able to influence and change things in the very far past which would give the impression to us that they’ve existed for billions of years. That was part of their deception; they intentionally manipulated the past and future to give off the impression that they were “ancient” and “old”. When you understand time you see that it’s not linear and is in fact much more malleable. Beings that have gained mastery over the time/space continuum can project themselves into the past and future as they so desire. They can do this as easily as we can change clothing. The same goes for their form, they can assume many different forms as they please or choose not to assume a form and remain non-physical. You have to wonder about how these beings were able to keep the Galactic Federation Of Light at bay for so very long. 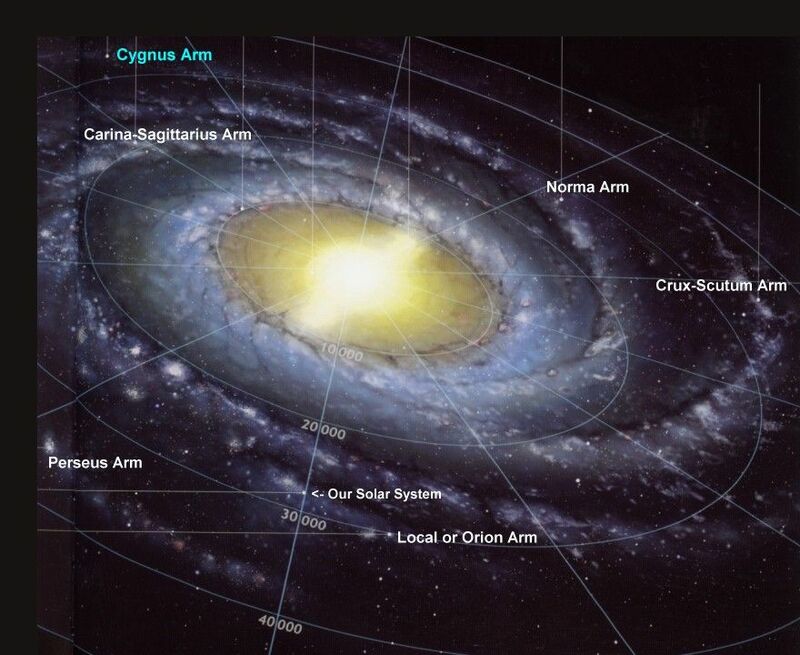 In fact, Cobra states that now Earth is the last planet that the Archons control and that Light Forces doing everything they can to remedy the problem. Yet they’re unable to resolve the situation right away and that it’s taking a lot of time. I’ve always wondered how a Galactic Federation Of Light which probably makes up hundreds of species and planets can be outperformed by a small group of entities and beings on a small single planet. Cobra states it’s because of Toplet Bombs and that they cannot be removed, but is that true? Does that mean there isn’t a single entity within the Galactic Federation of Light that can go into the negative etheric and astral planes and remove these toplet bombs? Or is it they choose not to remove them because they feel that the ‘lesser’ species need to do it themselves? Are the species that compromise the Federation filled with only 4th and 5th density species? It’s as if there isn’t a single being within this present moment of Now that can remove these toplet bombs safely and effectively…. I could go on and on about this type of stuff, but I don’t want to turn this article into a book. So I’m going to end it at this note. I hope you all can appreciate the gravity of what is occurring on this world, we are resolving a issue that has been prominent on many planets and dimensions. What I personally believe is that what is occurring on earth is actually a 6th dimensional negative entity switching polarity to the positive as described by RA. Not only that I believe that once the Primary Anomaly is resolved we’ll be able to create realities of our wildest dreams. I hope you enjoyed my article and if you have any questions, comments or information that may provide greater clarity to my article feel free to share. Posted in Choronzon, Cobra, Full disclosure, Full Disclosure Now, Guardian Of The Threshold, Higher Consciousness, Law of One, RA, The Event, Timothy Frappier. How could all of the madness and chaos that pervades our lives in a never ending myriad of ways suddenly go away / dissolve overnight? Even among Lightworkers I would imagine that the majority have great difficulty in getting their heads around an understanding of how this will take place. It is with this in mind that I attempt to combine some information that will hopefully help everyone who so desires to have a greater understanding of how The Event will involve radical change on Gaia from one day to the next. “It gives me an idea of how rapidly humanity will be able to heal after the emotional trauma of The Event and that everything will be ok very quickly once all of that is able to happen” he goes on to say “the realization that humanity (all 7 billion of us on the surface) will have healing energies sent to us by trillions of physical and nonphysical beings. If we can just hold ourselves and our human brothers and sisters calm for the first 72 hours, we will be home free for the rest of the financial reset period and beyond. If you would like to read and understand much more about the Veil = “the electromagneticfrequency fence on the lower astral and especially on the etheric plane” and how it is and has been used by the archons to control us, then go to this link from June 2012. I highly recommend that you do so as it will answer so many questions if you have not done so earlier. For newer readers to this area of information I must point out that the article about the Veil above from June 2012 is now nearly 5 years old and that there has been substantial progress regarding the removal of the Veil since then. So what is the experience we get when we go beyond the Veil? Already in August of 2012 Cobra gave us a taste of what this might be like. He then had to wait another 18 months to have his very own trip beyond the Veil. When the ‘signal’- the Event Flash finally goes out from Source to initiate the decades old plan for The Event, from that moment on NOTHING will ever be the same again. The Event Flash travelling at the speed of Love from Source via the many portals of Light like those on Ganymede, Chiron, our Moon etc. will signal that The Event be initiated and within 20 minutes’ things will start to happen. This is the time and day when the Veil is completely removed. Here the old prophecy about this Event. After months of preparations, time has come for me to go beyond the Veil. The easiest way to do this is a stratospheric flight in a military plane which can reach high altitudes of nearspace. First we tried to do this through South Africa, but, predictably, the Cabal has interfered and the company which was involved in our project has lost its license just two months before my scheduled flight. Therefore, we decided to go through Russia, which is now beyond the reach of the Cabal at least concerning such projects, and we were successful. Although I had to go through three security checks to be allowed to enter a Russian military base to fly in a MiG-29, I could feel the Soul presence of people working there, the Soul presence that most people in other countries have lost. There were about 100 people present in the base on that day to make the flight possible, from the pilot (which is among 10 top Russian military aircraft pilots), to fire brigade personnel, medicine helicopter which was on standby in case of emergency, people in control tower… It was not a small endeavor. 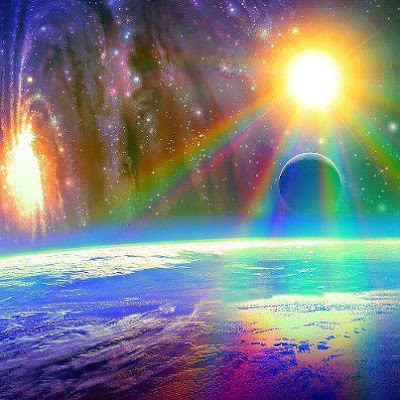 When you cross the Veil boundary, 8.6 miles above the surface, you are suddenly embraced by a tachyon bath, a rain of rainbow colored superluminal particles that penetrate your energy field. Your physical body feels energized and you feel healthier than you have felt for a very long time. There are absolutely no reptilians, no etheric scalar wave technology, no Archons, no negativity, nothing. No Matrix. Just absolute purity. The altitude increases. 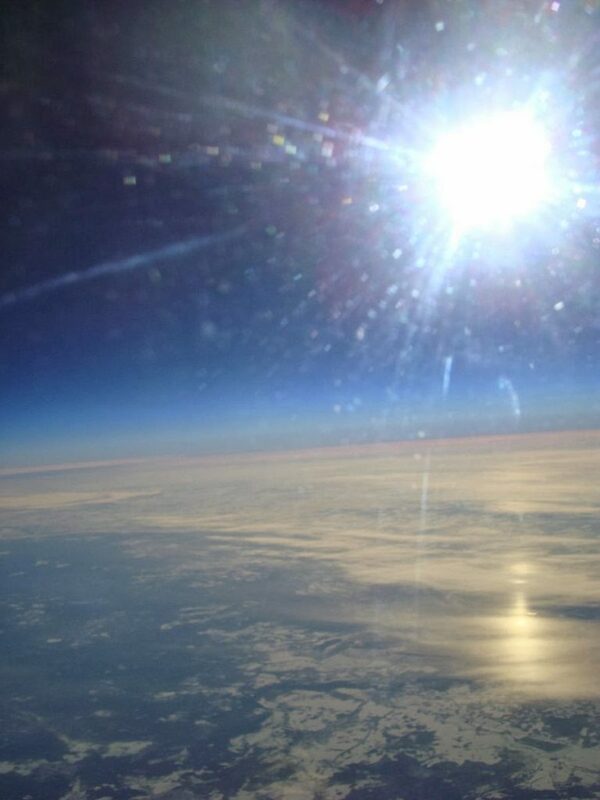 Although you fly almost twice as fast as the speed of sound, you feel no movement. Everything is peaceful and still. 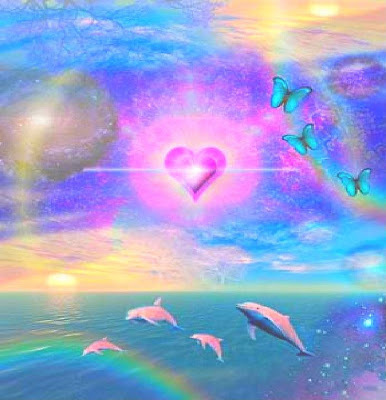 You feel angels around you, presence of Light motherships high above you. When you come back and land, you are changed forever. After spending decades in the quarantine, you were able to experience the taste of true freedom. You know that you can do it again and many people will follow until we are all free citizens of the cosmos. Through this flight, I was able to create a big crack in the Matrix, a big dent in the security firewall that the Archons have created to maintain the quarantine status of planet Earth. And now a question arises for me, where to next? Virgin Galactic or a Pleiadian beamship, whichever comes first. Patrick : It has been almost seven months since we began to bury cintamani stones worldwide. I wonder if this Cintamani grid of Light is now strong enough to withstand the energy of Event Flash. Cobra : The energy grid of Cintamani stones is getting stronger and stronger, and when the Event Flash happens of course it will be strong enough, but what is even more important is that this grid is now assisting in dissolving the Yaldabaoth entity, and this is one of the reasons why it needs to be stronger and stronger because the stronger this grid is, the more it helps in final dissolution of all plasma anomaly, so this is one of the more important project that we have right now, to assist in acceleration of the Event and to assist in stabilizing the process until then. P : In order to dissolve the plasma octopus, how many cintamani stones do we have to bury worldwide until those angelic beings reach their critical mass? C : I would not speak about the numbers for various reasons, some of them are pretty obvious, but I would say that those who feel guided can keep planting the stones according to their own inner guidance, and that is the perfect approach to this particular situation. P : As it is almost impossible for all PFC groups to heal 7 billion people with their short-handed healing groups, I really want to know how light forces would execute their mass healing program. C : After the Event many healers will join the task even though they are not active in this right now, and there will be also a lot of guidance from the Light forces that will introduce new and effective healing techniques, and still there will be a lot of stress on those who are healing others because there will be a lot of demand for healing. “Ok, do not try to deprogram or awaken a certain particular person, what you can do is just spread information, you spread intel you spread Light, and those who are ready will awaken to that particular level, and this is the basic protocol for all awakening on the planet. And I will simply say here that the state of awakening on the planet is not a concern for the Light forces, because when they will remove the veil, humanity is basically ready for the Event right at this moment so it’s not a problem, the main problem is the veil, the toplet bombs, the plasma anomaly, all those things and when they are removed or healed, the Event will simply happen. We learn that people will be more involved immediately after The Event in bringing about the change everyone desires on this planet. No longer ‘in the dark’ humanity will truly wake up and become active in their destiny in the knowledge that they finally do have a choice / chance to affect positive change. C : I would say the minimum requirements are met according to surface population. P : Very good, thank you Cobra, so at the end of this interview do you want to say something to our audience ? C : Yes I would say that there are some interesting developments lately that are bringing us much closer to our final goal, and it is very important for everybody to be alert, not to do things by default, be awake, be alert, and do our mission because every deed every action counts, now especially. Significant progress is / has been made regarding the removal of / disarming of toplet bombs” — ” Besides the Galactic Confederation there are Beings from higher dimensions now involved in this process. Cobra suggests that it is good if people speak to the Ascended Light Beings and tell them about what life is like here since 1996 to help them to have a greater understanding of what it’s like to be incarnated here right now. Put words to the feelings that you hold inside. The vast majority of the Ascended Beings ascended prior to the archon invasion 1996 and therefore have a limited understanding of the present human life experience. We also learned that anyone who wishes to connect with the Galactic Confederation can do so by speaking mentally to them because they can read our thoughts. Because the Light Forces have earlier underestimated the power of the dark forces they want to prepare for The Event as perfectly as possible because they want to avoid unexpected surprises. Some people feel that humans cannot afford the delay of liberation any longer. They want to be reassured of the Event as well as the full disclosure. They wonder if earth and humans would transform into the ascension status before 2026.Besides, what can we do to make sure the Event occurs in 2017? One aspect of a Lightworkers mission is daily direct contact with Source and our Guides. We must fully realise our sovereign right to ‘declare, decree and command’ that negativity be removed i.e. archons and their minions evil work a) from our own private lives and relationships as well as, b) any area of darkness either on the surface, plasmatic plane, astral and etheric planes that needs clearing. 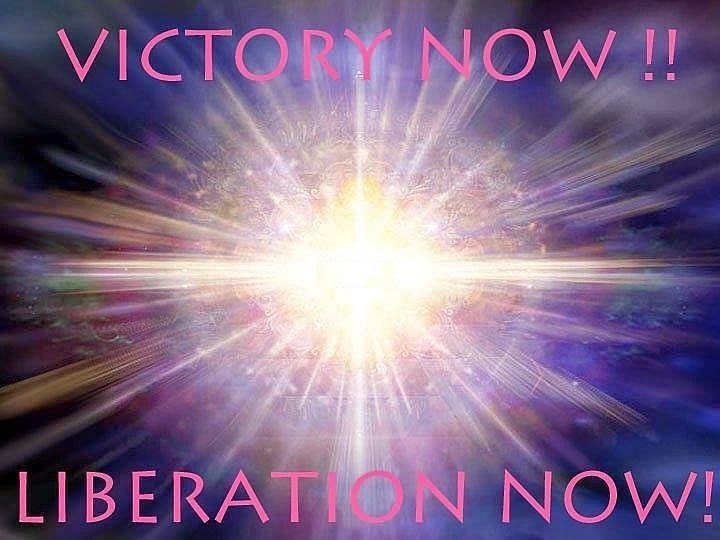 To this end we are freely given the use of the Torch of the Violet Flame in the name of Saint Germain as also Archangel Michaels Blue Flame of Truth, Love and Peace to use on a regular basis to declare that negativity is removed from any situation. Let us use these tools profusely now to change everything and affect the taking down of the Veil. 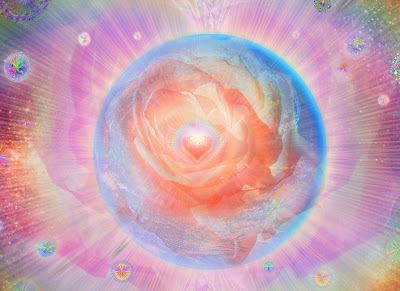 A reminder to all Sisterhood of the Rose groups or individuals worldwide to a regular use of the Goddess Spiral Meditation (see The Portal or PFC) to this same end. Finally, a word of advice from Sanat Kumara who would remind us that amazing transformation could quickly take place on this planet if everyone reading or hearing the following advice would actually DO THIS NOW: He says just take any relationship in your life, partner, relative, friend or even a stranger at your local café and make a decision that for one month you will have only an exchange of unconditional love with that person. Remove all ego needs and just be loving, receptive, kind, compassionate whatever it takes to build total trust in that one relationship. This will have enormous effect on the whole. Remember that everything that you do in a loving way as a Lightworker is having a positive effect on millions of other people. So let us all do our utmost to carry out our mission 100%. Let’s hope and trust and believe and visualize each Sunday or anytime that we will ALL have an experience very soon of what it feels like to go beyond the Veil. Let’s do this! Liberation Now! Victory of the Light! Therefore we are using the opportunity of the total Lunar eclipse on January 20th/21st to create a portal through which we will unify our consciousness and enlighten the energy field around the planet. We will be doing this meditation at the moment of the maximum of the Lunar eclipse on Monday, January 21th at 00:11 am EST in New York. This equals 2:11 pm JST in Tokyo, 1:11 pm CST in Taipei and Beijing, 7:11 am EET in Cairo, 6:11 am CET in Paris, 5:11 am GMT in London. Central and western part of US will still have Sunday, January 20th , the timing will be: 11:11 pm CST in Chicago,10:11 am MST in Denver and 9:11 pm PST in Los Angeles. 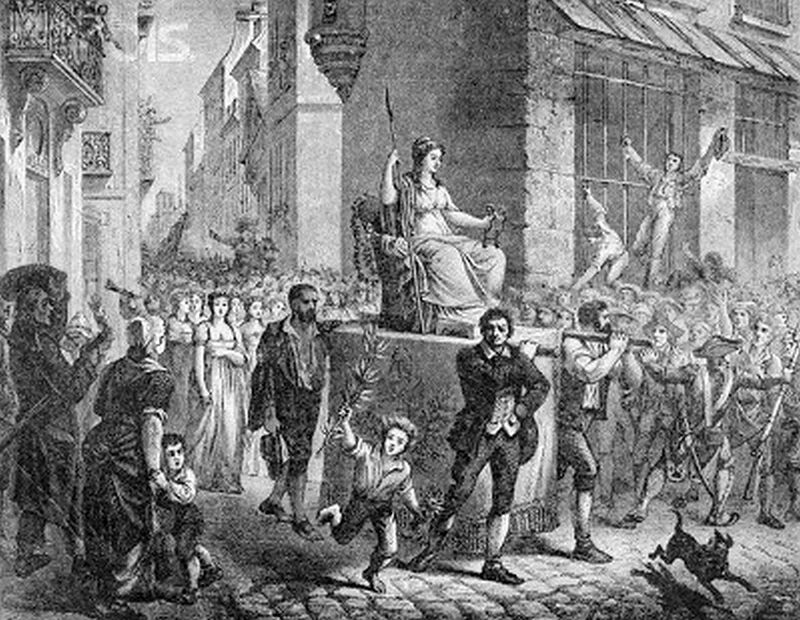 Exactly 225 years after the activation of Goddess of Reason, certain Goddess priestesses of the Resistance Movement came to the surface in Paris and did a special planetary kundalini activation. The activation was taking place from November 8th to November 11th, 2018, during the meeting of the world leaders in Paris. The second basement DOES exist, although the waitress denied it. This activation served as a trigger for planetary kundalini awakening where people will finally rise up against the oppression of the Dark forces. One aspect of this planetary kundalini activation was for women to start reclaiming their sexual energy and expressing the beauty of their bodies. 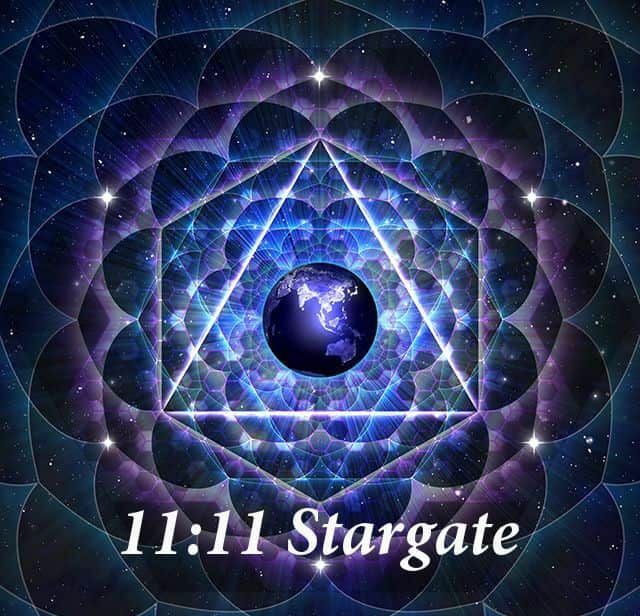 Since November 11th, 2018, the Paris Goddess vortex is continuously triggering kundalini activation in all human beings on the surface of the planet. 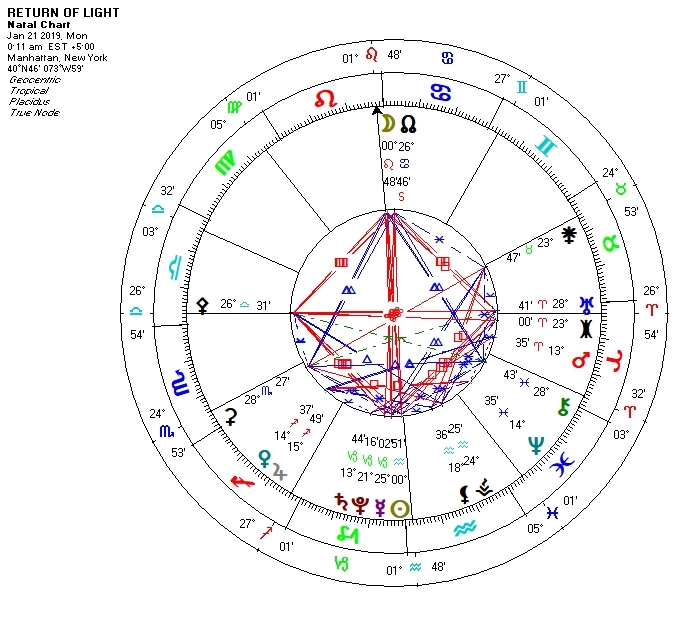 This is the occult reason for the success of the Yellow Vests movement, which is a grassroots movement against all oppression. 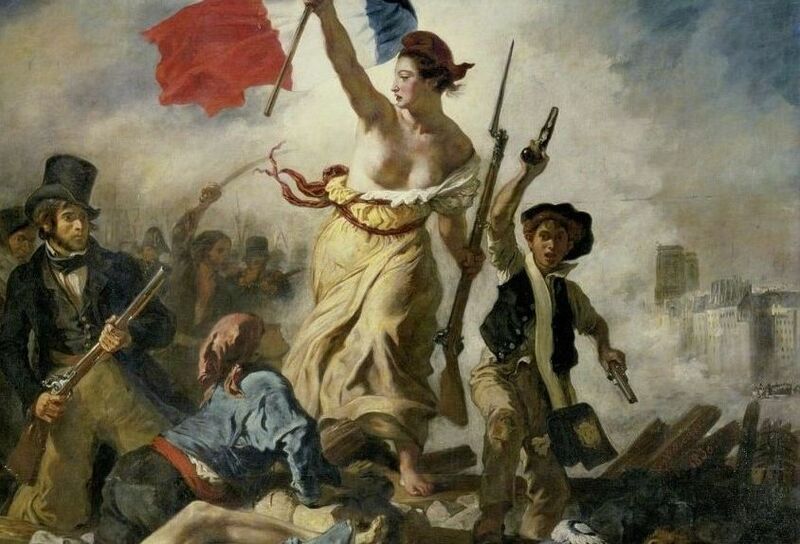 Goddess wants liberty and liberty it will be! Posted in Cobra, ISIS, The Event. Posted in Cobra, The Event.